Texas Gov. Greg Abbott Sunday requested that the Federal Emergency Management Agency (FEMA) add 12 Texas counties to the Presidential Disaster Declaration granted last week. Abbott additionally added four more counties to the state disaster list. The original request, which was quickly granted by FEMA, will provide Individual Assistance, Public Assistance and Hazard Mitigation to six Texas counties affected by the storm. "Our partners at the federal level have stood ready to answer the call for help from Texas, and I am thankful for their assistance as we continue to assess the situation in expanded areas across our state," said Abbott. "Many parts of Eastern Texas, especially in and around Houston, are experiencing historic flooding causing the need to grow for additional resources that will allow us to answer the call for help from our fellow Texans. I thank those at FEMA for their attention to the severity of the situation in Texas and the people of this great state for coming together in this time of need." The Presidential Disaster Declaration previously included Bee, Goliad, Kleberg, Nueces, San Patricio, and Refugio counties. In addition to this request, the Governor has already issued a state disaster declaration for 50 Texas counties in response to the storm. 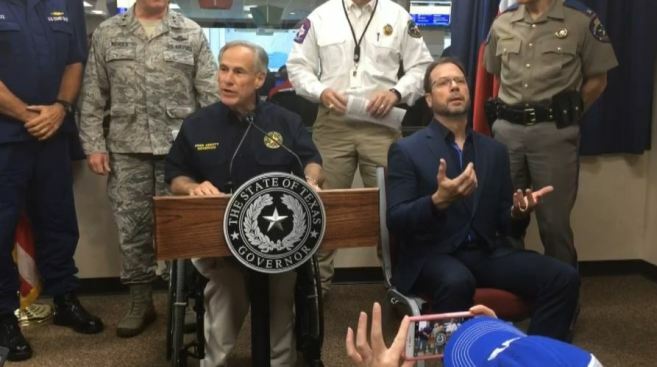 "These communities have suffered a great deal because of this catastrophic storm, but Texans are resilient by nature and will make it through this tough time," said Abbott. "Resources are being made available to these counties to help Texans get their lives back on track. The state will continue to do everything in its power to engage in the recovery effort and assist those in need of relief."